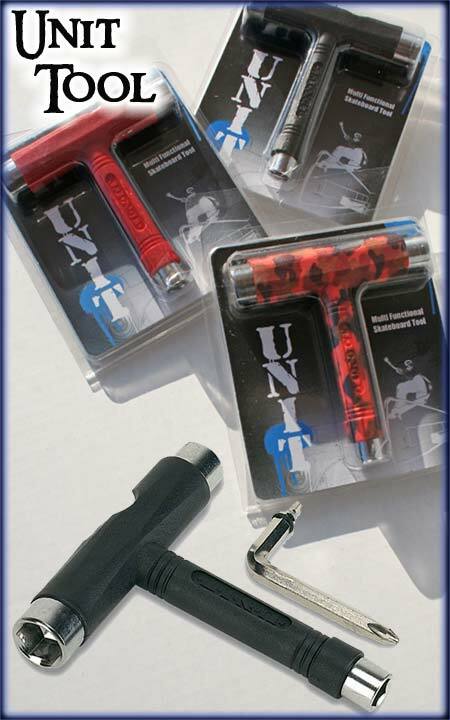 The Unit Tool is a multi-functional skateboard tool that allows you to adjust axle nuts, mounting hardware, and the kingpin nut on the top of the truck. It includes 3 sizes of sockets and a slide-out Phillips and Allen head screwdriver piece. Plastic handle for easy grip and fits in your pocket too. Available in several colors -- subject to availability.